Fiona: Let’s get you introduced to everyone, shall we? First, thank you for having me here. I love learning about the authors in your interviews! I’m J. S. Burke, author of the Dragon Dreamer series. I’ve lived in six states, and now I’m in Georgia. I’ve been fortunate in my education. My third grade teacher started a poetry club and published our poems. I became fascinated by words. I read the dictionary and discovered how words change with time. I learned French, the alphabet of the deaf, and a smidge of Spanish. I chose a career as a marine biologist. My research funding fell through when I was a grad student, so I supported myself as an artist to become a scientist. I’ve often thought this was a bit backwards. My most beautiful piece was a huge conch shell with a scrimshaw design: abstract waterflowed out from deep within the shell onto the wide lip, where this became sea waves with a manatee and her baby. The person who bought this later hired me as a marine biologist. I love research, writing, and the sea; this helps with novels. Dragon Lightning won the Pinnacle Award for Best Science Fantasy Book. It’s been nominated for a SIBA award and two more Fantasy Awards. I recently won an author contest. I’m writing the third Dragon Dreameradventure. I’ve drawnthe new fantasy flakes to be used inBook III and my Fantasy Snowflakes Coloring Book. I love the beauty and power of words! I’ve written poetry since I was a child, for fun; nothing I would publish. I write letters to change what cities do; it’s an inexpensive way to make a difference. I write educational Crystal activity book/kits to help beginners understand math and chemistry; these are used in school systems. When people understand science, they better understand the serious consequences of pollution and climate change. My marine science research papers are published in science journals. In my snowflake with leaping swordfish, their sharp bills meet like the nibs of old-fashioned ink pens. The caption is: “The pen is mightier than the sword(fish).” Silly but true. Words are powerful. My Dragon Dreamer series began when I saw a dragon world in my mind. The sea flowed in, and eventually this became a book.The series is a fun adventure story with layers of deeper meaning. I’ve been a writer most of my life, but the Dragon Dreamer books are my first novels. 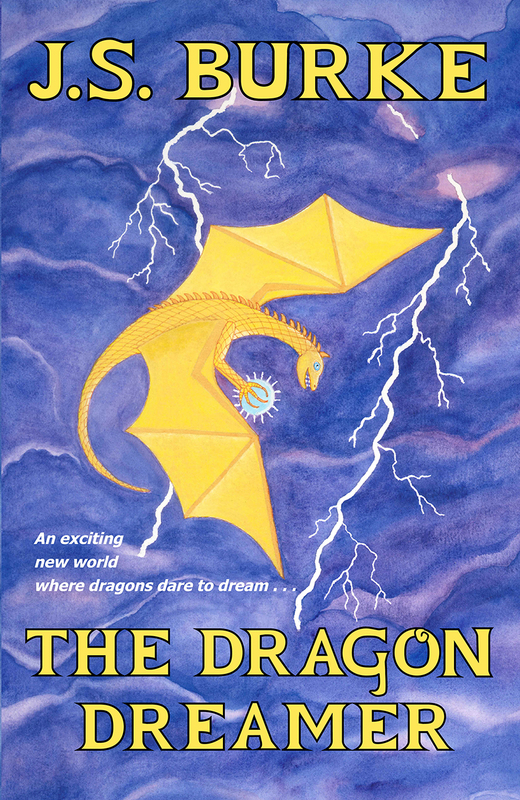 The Dragon Dreamer was published in 2014. 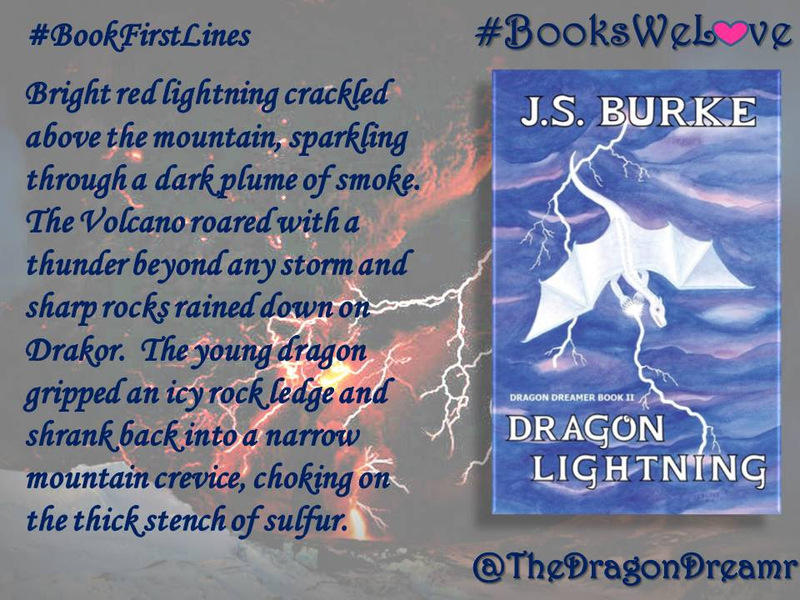 When readers liked this, I wrote a sequel;Dragon Lightning was published in 2016. I feel honored to be part of the writing community. There are so many books I want to read! I collect rocks. I LOVE rocks. I was admiring my blue ceramic bowl with its lumpy crystal rock in the middle when BAM, I know it was a dragon’s egg. The bowl was a dragon’s nest. Suddenly I saw dragon customs I’ve not read anywhere. So I started a novel and learned a new way to write. Very few people read science papers; novels have an actual audience! The working title was Storm Pearls. The editors felt that a “dragon” title would be better, but many are already on famous books. Arak, my young dragon misfit, is ridiculed as a worthless dreamer. When I checked “The Dragon Dreamer”, there were no books with this title. Success! This title felt right. Writing Science Fantasy is a perfect fit for me. I can research, write, draw, and even describe “alien” art that would be such fun in real life! I listen to my characters. It’s my world, and I love being there. My books are science-based fantasy. Most of this is real, with a fantasy take. Birds can see magnetic lines, and so can my dragons. Octopuses are as smart as humans and some types can shape-shift. Many experiences are my own. When dragon Arak squirms through a miserable water crawl in a cave, that’s me. When Scree-the-octopus skims above a coral reef or a ship is caught in a fierce storm, that’s me. I’ve done many stupid or dangerous things that are perfect for adventurestories, so I travel through memories and imagination. I watch documentaries to learn more of regions I have not explored.And I read more science articles. I had a very clear idea of what I wanted, so I painted the images that were used for the covers. 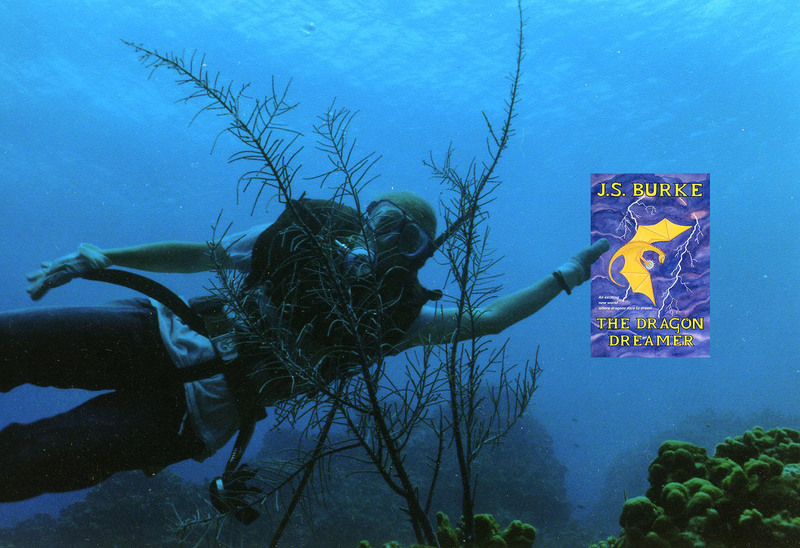 The Dragon Dreamer books are layered for readers age 9 to 99. Within the adventure there are themes of diversity, ecology, compassion, “connectedness”, communication. Scree, an octopus Healer, saves Arak, a wounded dragon misfit. Their friendship leads to trading between octopuses and dragons. When an underwater volcano erupts, ittriggers a chain of events that threaten everyone. Can they work together to survive? I read the reviews to see how the stories interact with readers. A three-year-old wants to be Scree-the-Octopus for Halloween; he made a Scree Healer bag from an old purse and wants a huge pink pearl like hers.A teenage girl wants me to hurry up and finish the next book. A mother mentioned thatThe Dragon Dreamer helped her learn how to better communicate with her difficult teenage daughter. A grandfather wrote, “This book has a profound human message.” And there are no humans. JBut,as with many books, the story is universal. I don’t have a favorite writer; each has something different to offer. My kindle is filled with indie author books.The talent and creativity is astounding! I love reading books by Alex E. Carey, Timothy Hemlin, Rose English (Su Echo Falls S’ari), Michelle Zeman, Rick Mullins, Jenn L. Deese Neal, James Reid, Les Lynam, C.D. Gorri, Theresa Snyder, William Stuart,Pamela Winn, Wanda Mital Luthman, Michael Stern, Dianna Wyles,Tom Fallwell, and more; there are manyindies on my TBR list. I was fortunate to be a founding member of a small, local writer group. We met every other week, read a chapter or two by each member, and offered constructive criticism. Three of us became published authors and one became a successful artist. When the other writers moved away, I met readers and writers onsocial media whogive feedback and encouragement; they help me as a writer.It’s a mutually supportive network, and I’m proud to be a part of this! Writingis an important part of my life, and would be a fun career. Dragon Lightning is written, published, and I’m content. Now I’m working on the third book of this series. Lots! Research is my mind candy. I studied super volcanoes, diving in arctic waters, plants of Greenland, butterfly migrations, and much more. The arctic sea is a strange, alien environment. It would be an animated movie, and I have no idea who would voice the characters. But I’d have a HUGE party to celebrate, with chocolate for everyone! Find some writer friends. Carefully consider feedback. Keep writing andre-writing! I’m readingWater’s Reflection by Alex E. Carey, the third book in her excellent paranormal/adventure/romance series. The world, characters and storyline are great! I remember reading a beautiful, illustrated fairy tale. I still love legends, fairy tales, and illustrations. 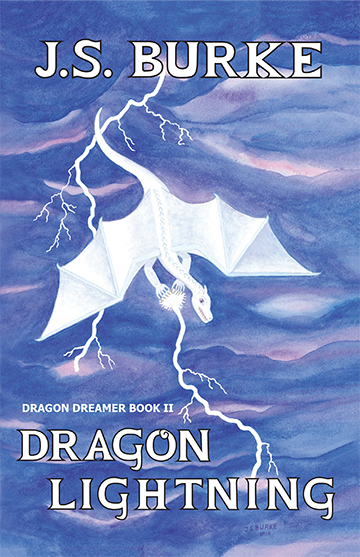 The Dragon Dreamer books have legends of sea beings and of dragons.There’s a picture or drawing for each chapter, including several fantasy flakes. Silly, ridiculous jokes make me laugh. Many Facebook friends share these! Seeing anyone suffer . . . child, adult, dog, elephant, octopus, any being . . . makes me cry inside. There are many people I’d love to meet. I recently watched Hacksaw Ridge, a movie about a “conscientious cooperator”. Desmond Doss was a WWII medic who refused to touch a weapon. Doss was ridiculed as a coward until he saved 76 wounded soldiers, alone, while under fire, during one long night. I love his inner strength, conviction, and desire to help others. I read, draw, paint, make jewelry. 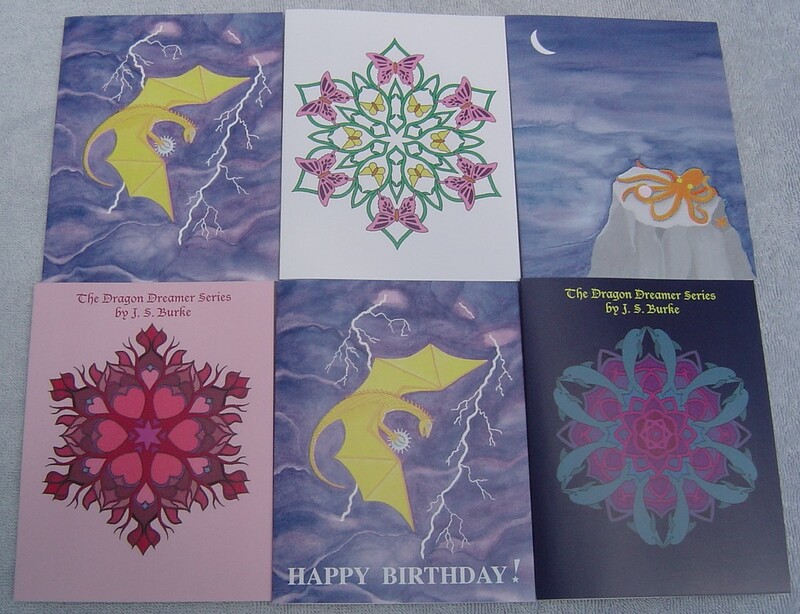 I’ve always loved to make cards; now they’re fancier and connected to my Dragon Dreamer books. I love nature films, historical movies, science fiction movies and series. Doctor Who, Star Wars, and Star Trek are favorites. Chocolate, rainbow colors, and a variety of music. I love “Hallelujah”, “Pachelbel’s Canon” played on the harp, Enya, “Pearl Harbor” movie sound track, and much more. Read! And make more artwork. Absolutely. And thanks again for inviting me to be part of your amazing blog! Interesting books…I’m going to have to be sure to check them out the next time I am at my local library. I can’t wait for the third book to come out. I hope it won’t take long. I was pleased to see that this author like Star Wars and Star Trek. I only wonder which of the Star Trek series the author likes the most….or does she just like all Star Trek in general? Love this author! Thank you, Fiona, for another great interview.